You can sell back books for CASH anytime during normal business hours. During major buyback periods (usually the last two weeks of the semester) we buy back for our own stock and pay as much as 50% of the original book cost. During other times, we buy on behalf of textbook wholesale companies who set the buyback prices. 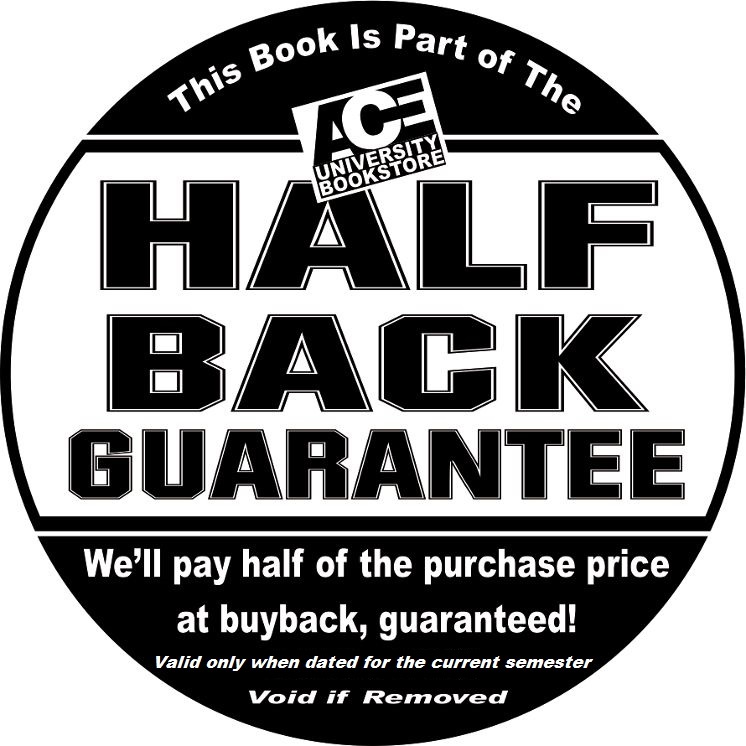 Also, a number of our books come with the “Half Back Guarantee” sticker which guarantees a 50% buyback thru the last day of final exams. Buyback prices are subject to change without notice. Even if we are overstocked or the book has not been requested for next term, we may still purchase it. Your college ID or driver’s license may be required to sell back textbooks and return rentals.